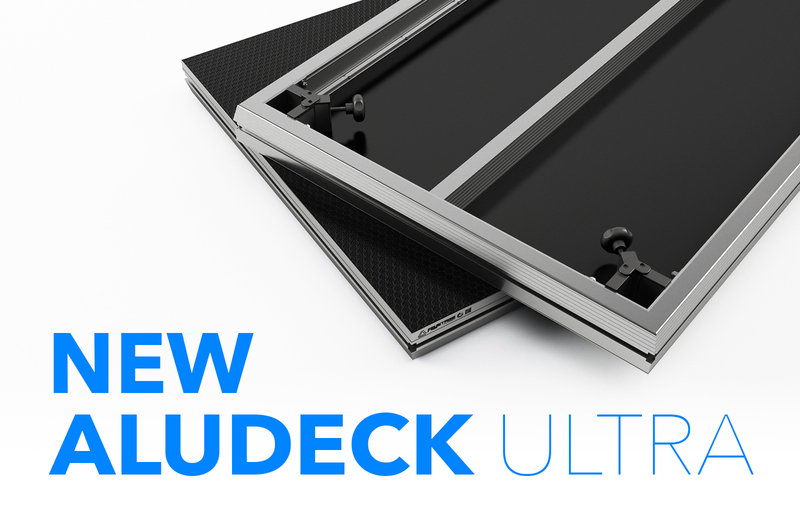 NEW AluDeck Ultra stage platform is not only lighter, but olso comaptible with AluDeck Light. Its weight is only 36 kg. 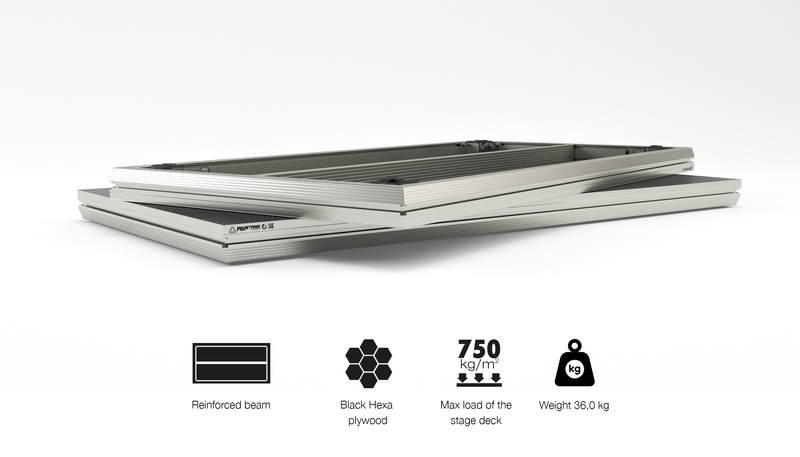 Single longitudinal beam and a special profile design ensures full stability. 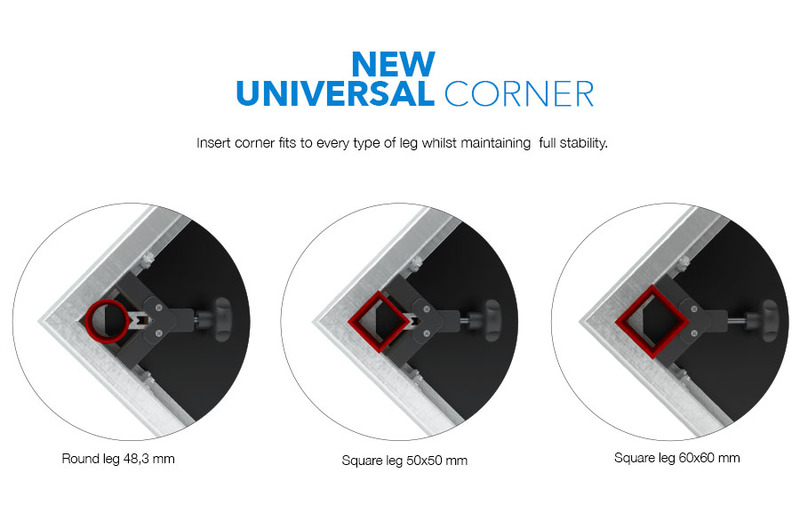 Highest quality confirmed by TUV certificate which ensures maximum safety. 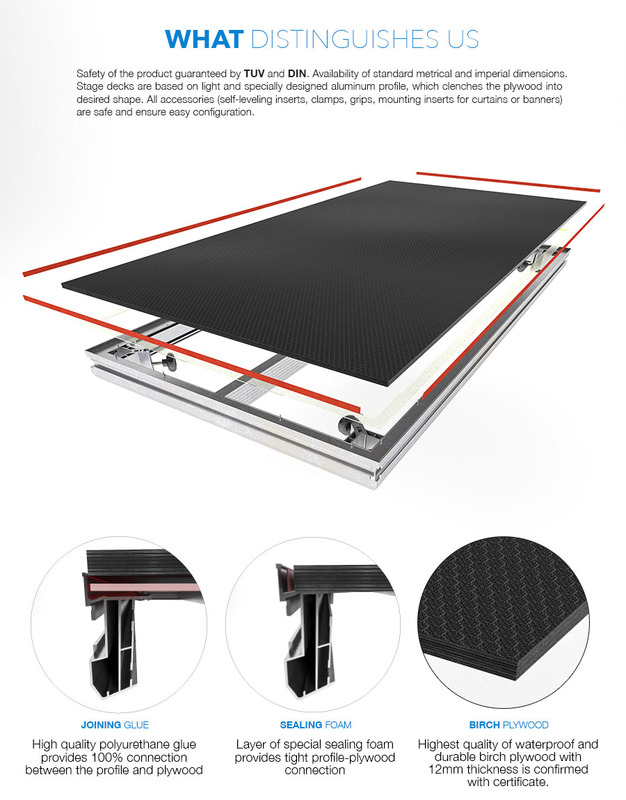 The modular stage platform constitues a base for stage, fashion show catwalks, tribunes and conference podiums. 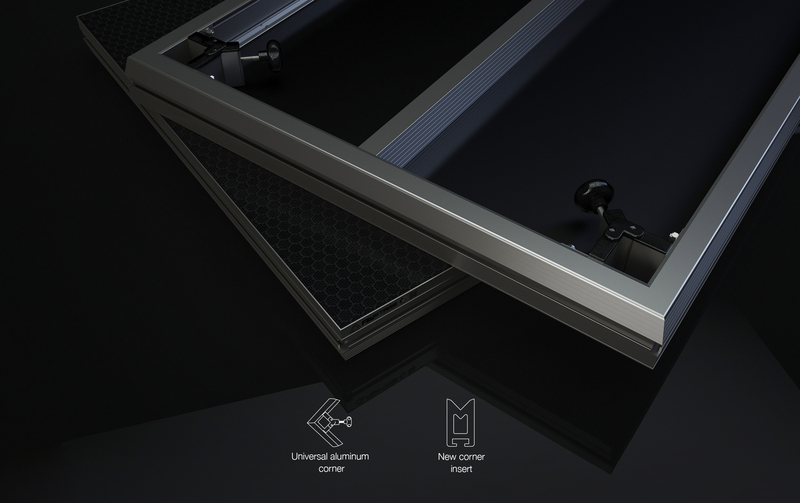 Its top quality is confirmed by the TUV certificate. 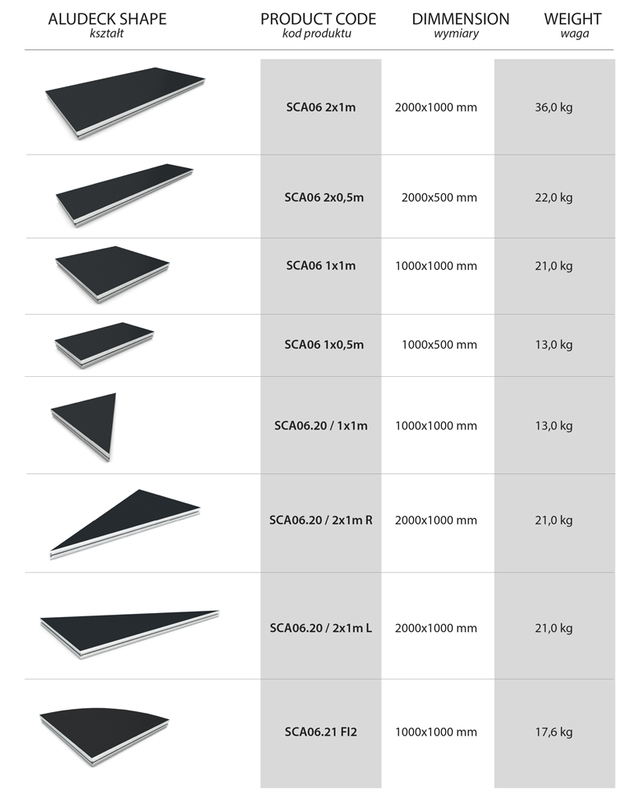 The platforms come in the following four dimetions: 2.0x1.0 m / 2.0x0.5 m / 1.0x1.0 m / 1.0x0.5 m.
The platforms are based on light and specially designed aluminium sction by means of which platforms are joined together into the desired shape. 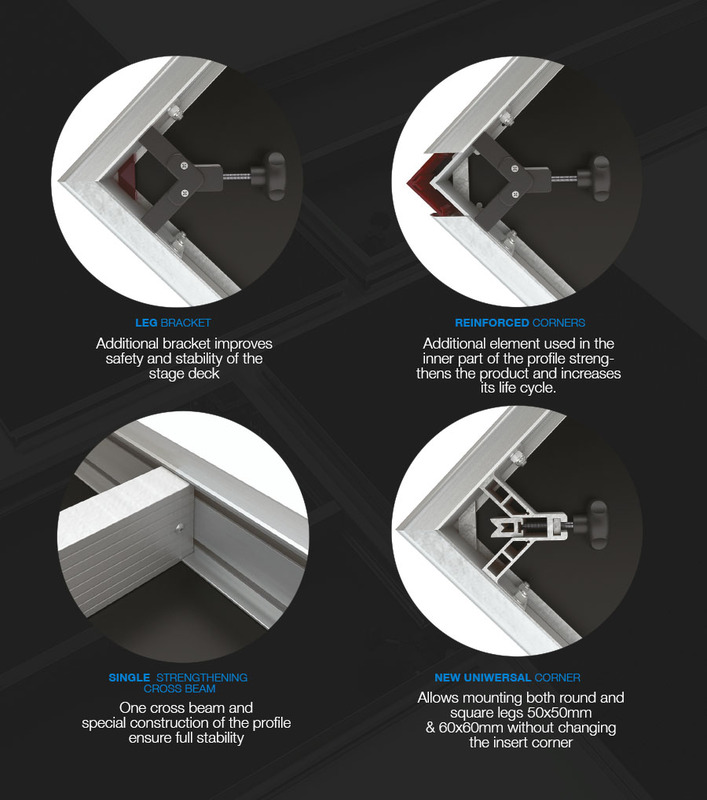 All platforms accessories (self-levellin insert, barrier clamps, stairs clamps or assembly insert which can be used to hang curtains or advertasing banners) are fastened to the section. The platform top is made of waterproof plywood with an anti-slip layer which is available in dark brown or dark. At the customer's request, the platform top can be covered with a venner in the colour of wood.